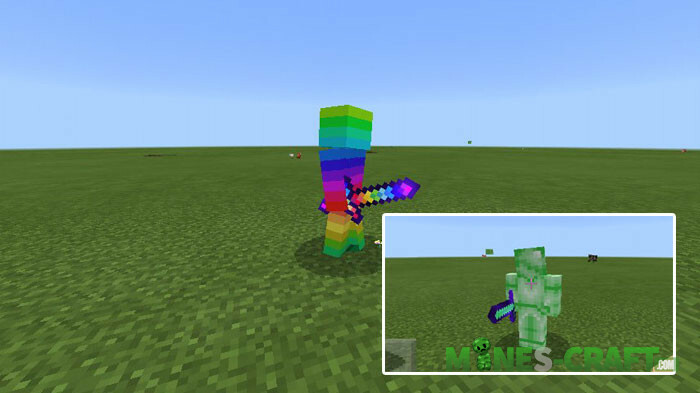 You’ll not laugh with this addon, as new characters will appear in your world, very cute and funny outside but very dangerous and strong inside. The creature is called Steve and he looks almost the same as you, except that it is painted in a certain color. 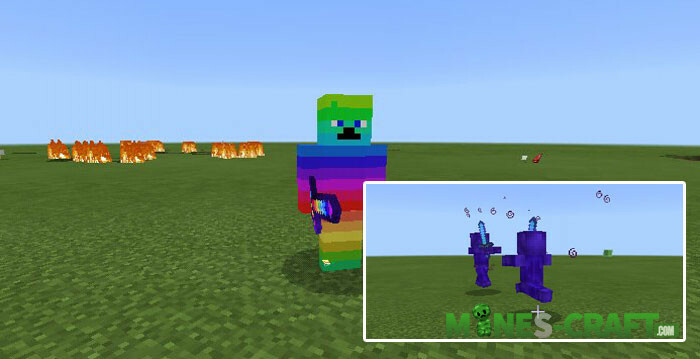 You can meet blue, green, red or purple Steve, as well as a special rainbow Steve. Don’t hurry to embrace him, he is completely unable to rejoice and bring good. He is brought up in difficult conditions and will never become your friend. Moreover, you’d better run away if you see one of them. All Steves are mega strong, their health is comparable to three bosses and it’s not so fun when your inventory is completely occupied by precious blocks. Be cunning to defeat these dangerous guys.